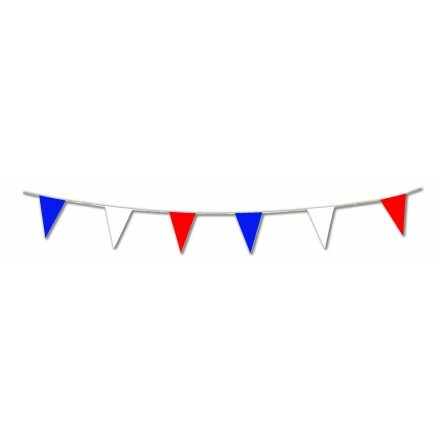 Deco Party UK have made top quality with a large choice of flag bunting since 1992. We have been the bunting flags party decorations maker ! 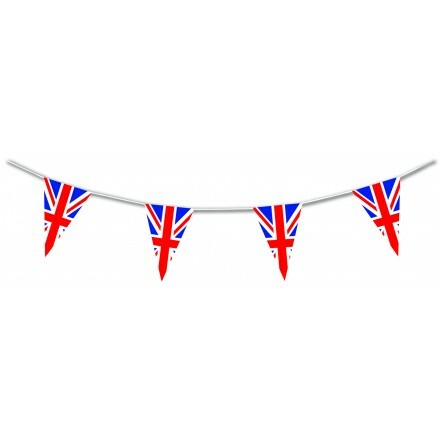 Deco Party UK offers more than 70 different international bunting flags suitable for indoor or outdoor use. We are able to make other ones, for special enquiries feel free to contact us for further information. Our plastic bunting are made in 100% polythene 150µ thickness, special treated to resist against UV, against wind, assemble to a solid white thread. Our standards lengths are 17ft / 5m and 33ft / 10m. 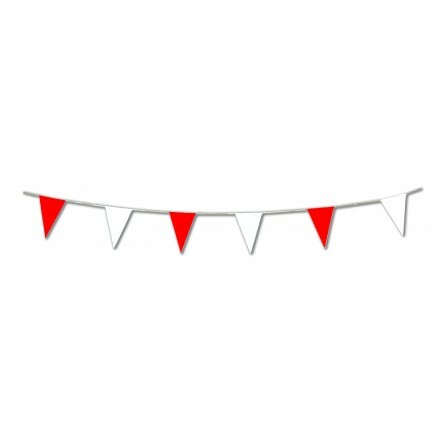 High quality plastic bunting, suitable for indoor and outdoor use. Polythene 150µ thickness, special treated to resist against UV, assemble to a strong cord, it is perfect to get a very nice finish touch in your party, event, restaurant, discotheque, shop... 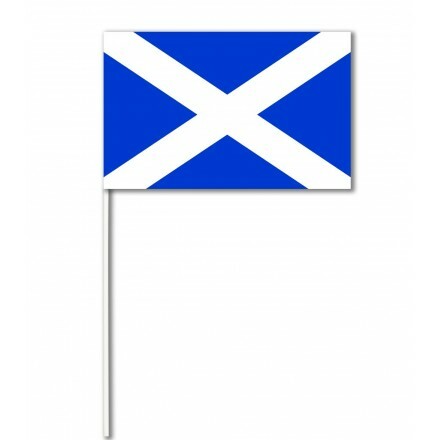 Available in 17ft (5m lengths) 10 flags and 33ft (10m lengths) 20 flags, each flag measure 8x12 inches (20x30cm). 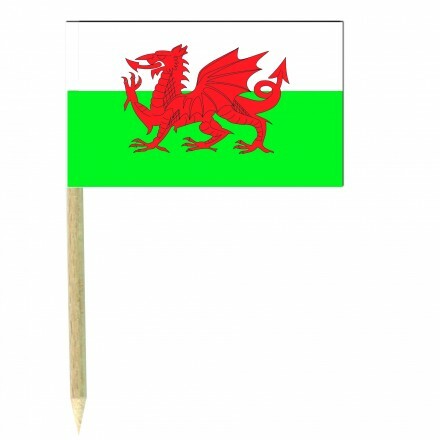 Wales (dragon) paper hand-waving flag 5,5x8inch/14x21cm, plastic stick measures 37cm, pack of 100 pieces. Welsh hand wavers are top quality. 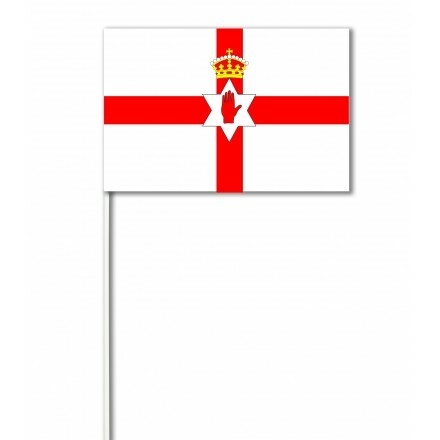 Northern Ireland paper hand-waving flag pack of 100 pcs. 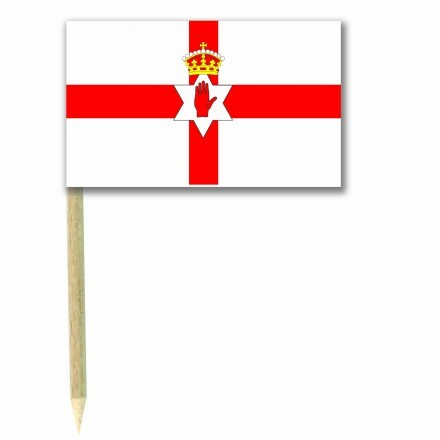 Each flag measures 5,5x8inch/14x21cm on a plastic stick 37cm. Hand wavers are top quality with great vlue budget. World countries bunting flag decorations are made in rectangular shape 8x12Inches / 20x30cm and most popular are Union Jack flag bunting, England flag bunting, Scottish flag bunting, Welsh flag bunting, Irish flag bunting, American flag bunting ( 4th of July bunting ), French flag bunting, Lincolnshire flag bunting, Israeli flag bunting and we also have made other banners as chequered flag bunting for Formula 1 race and nautical bunting to hang across ports. 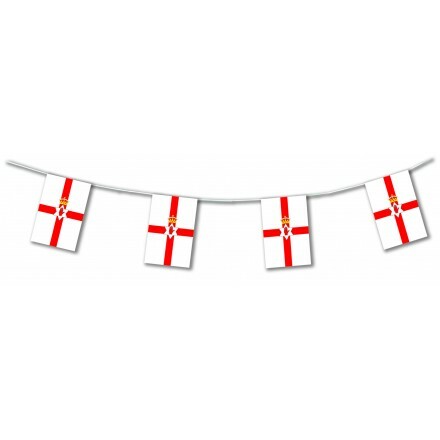 For sports games we offer special bunting flag banner, for instance for soccer world cup, rugby world cup, six Nations rugby. Deco Party UK have made paper hand wavers. 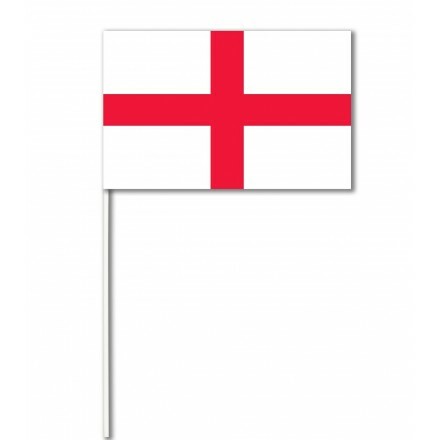 If you want to support your country’s team while soccer world cup or rugby world cup buy online these flags to wave in the pub or in the bar for a very low price. 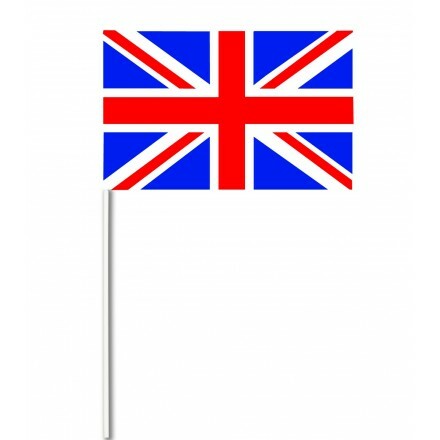 You will find an important choice of international countries as for example English Hand wavers, Scotland hand wavers, Dragon ( Wales ) hand wavers, Irish hand wavers, Northern Ireland hand wavers, American hand wavers, French hand wavers, Israeli hand wavers and much more. 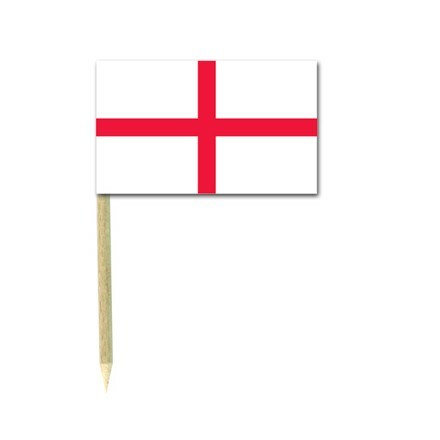 Paper flag measures 14x21cm on a plastic stick 37cm length. 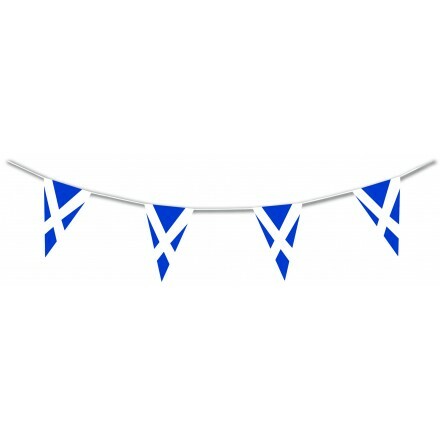 Deco Party UK offers pennant banner in high quality as well, in different shapes, most popular are triangle banner, oriflamm banner, rectangle banner, shield banner for medieval events and flower banner. Single color as pink bunting, white bunting, red bunting, yellow bunting, orange bunting, black bunting and blue bunting, in multi-coloured. Three colours alterned as red/white/blue triangle banner, orange/white/green triangle banner, red/white/green triangle banner, yellow/red/black triangle banner. 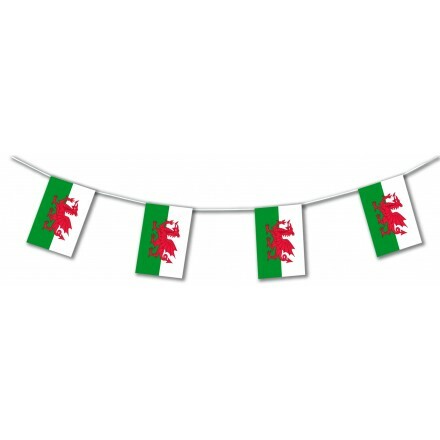 You will finally find all bunting flag ideas for your private party, garden party and every occasion. 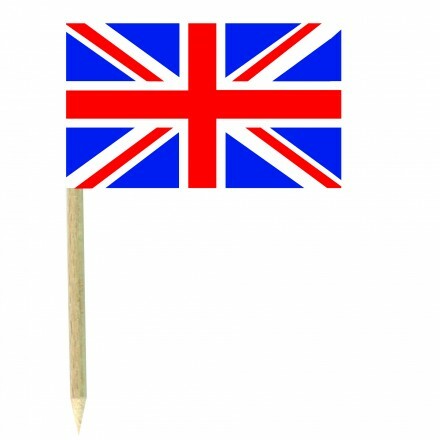 Deco Party UK recently decided to produce paper cocktail sticks with a lot international nations available. 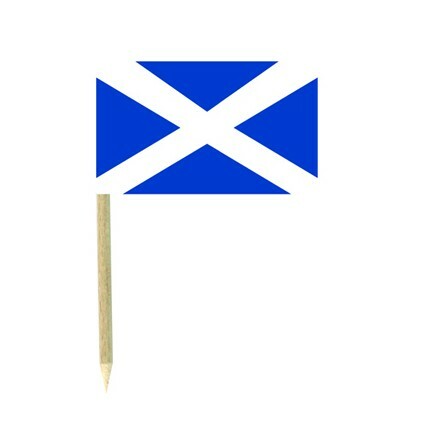 The paper flag measuring 3x5cm on a 7,5cm wooden pick. 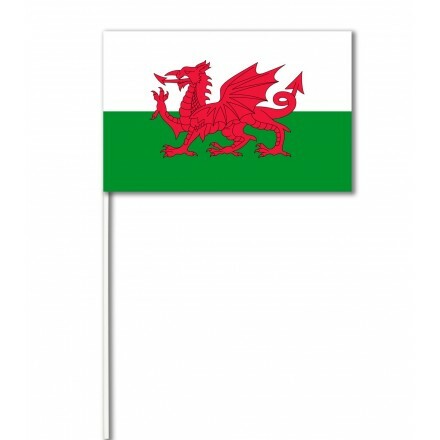 These food flags are made with care and most popular countries are Union Jack cocktail picks, England cocktail picks, Wales cocktail picks, Scottish cocktail picks, Brazil cocktail picks, Israeli cocktail picks, Russian cocktail picks and much more. 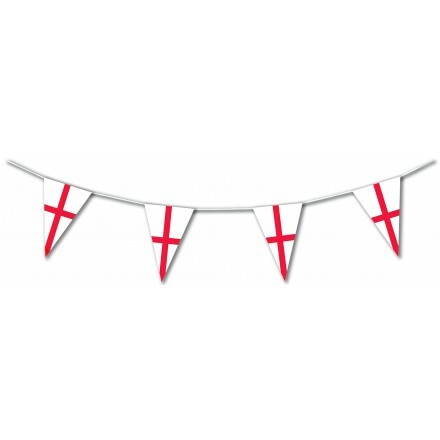 Great cocktail flags to jazz up Canapés, sandwiches & cakes. 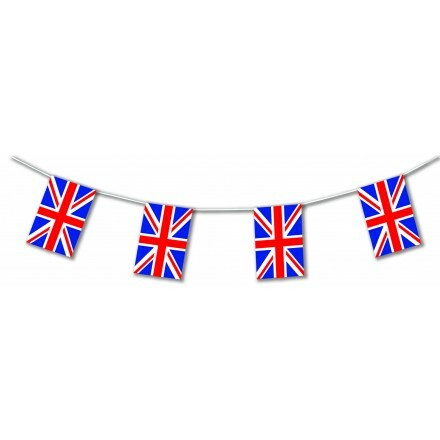 These flag picks are ideal for Diamond Jubilee parties and every occasion. Deco Party UK created a new original table decoration, ideal for patriotic parties with an important choice of Nations flags confetti available. Confetti is cut in circle shape, is printed both sides, measures 2.5cm diameter. Sprinkle these flag confetti on the table to add a splash of colours for every occasion, sports games, Jubilee parties. If you are a wholesaler or reseller and would like more information for special prices feel free to contact us.